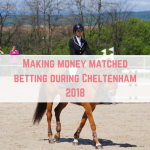 Matched betting isn't a new phenomenon, it has been around for years now. 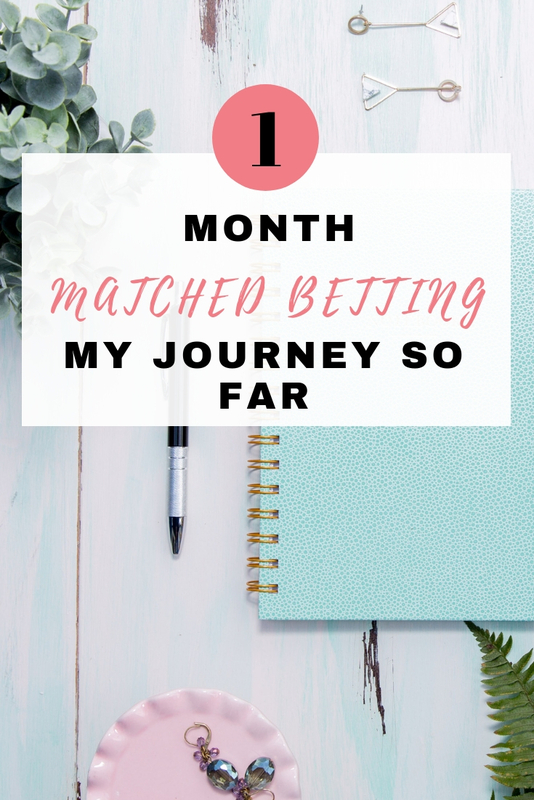 I started matched betting one month ago now, and I have made a profit of £1,430. 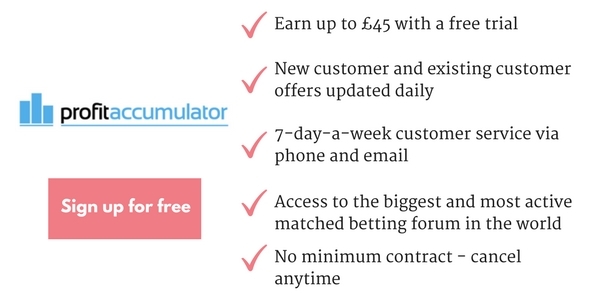 I decided to take the plunge and sign up for Profit Accumulator – they offer your first two offers for free as a trial and if you like it you can upgrade to monthly membership (currently £22.99 per month) or take out annual membership for £150. The great thing about matched betting is that it is both risk-free and tax-free! 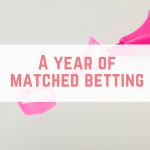 Update – if you are interested in my one year update then click here to see how I've made £12,000 from matched betting in 12 months. 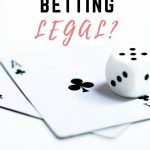 Matched betting isn't for everyone – if you don't agree with betting or you don't trust yourself not to sway from the system and start betting your own money then stay away. But remember that there is serious cash to be made. Bookmakers are always looking for ways to entice new customers and to keep people betting – one way they do this is to offer free bets. We can use these free bets to cash out bonuses with no risk and a guaranteed profit. By matched betting, you will open a new account at a bookmakers, deposit and make your first bet – the qualifying bet. You then go onto an exchange, such as Betfair, and “lay the bet”. Laying the bet means you are betting on a different outcome to whatever you bet on at the bookmakers. For example, if you were betting on a football match between Team A and Team B, with your bet being for Team A to win, laying the bet elsewhere means you bet that Team A doesn't win. Note that you aren't betting on them to lose, but rather that they won't win. Because of the way that exchanges work, plus the commission they take, on this qualifying bet, you will be losing up to 10% of your original bet. So if you are betting £20 then you will lose £2 – this is totally fine and a part of the process. Now you are £2 down, but you then have your free bet. If the bookmaker offered you a free £20 bet once you place a £20 bet, you now have £20 to play with, free! You then find a place a bet on something else, remembering to lay the bet at your exchange of choice. Once that bet is settled and accounting for your small loss in the qualifying bet, you should walk away with 70-90% of the free bet – in this case, you will be getting between £14 – £18, completely free! When it comes to any money making side hustle, I love to see how others have done with their own earnings. I find that it not only encourages and motivates me, it also lets me know that something works. Won't the sign up offers dry up? Yes – eventually you will have completed all the sign-up offers, but the good news is that bookies are constantly giving you reload offers. When the football season kicked off there were over 20 reload offers available! Profit Accumulator has a list of these offers – at the time of writing, there are 20 reload offers to complete. These can change daily! You can start off with as little as £60. This is your float/bank and will naturally increase over time. The more you start with, the quicker you can earn cash. I started my first two offers with around £200, but I quickly deposited another £800 so that I could keep doing the offers. Remember that your cash isn't at risk. What if you don't agree with gambling? 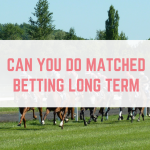 Matched betting isn't gambling in the traditional sense. Gambling will never guarantee to make you money – you will have highs and lows, always losing in the long. With matched betting, you are simply utilising the free offers that bookmakers offer. If it isn't for you then move on to something that makes you feel more comfortable, such as my top ten ways to make extra money. For me, the longest part was registering at new bookmakers and making my first deposit. After the first handful, I had to ring my bank as they had placed a block on my card due to suspected fraudulent activity as gambling sets off fraud detection software. Placing a bet from start to finish (finding the bet, calculating and then placing the bet) takes me less than 15 minutes in total, more often under 10 minutes. Even if you can only commit a few hours a month, you can still earn some extra cash completely risk-free and tax-free. I could not have achieved this without the help of Profit Accumulator. After completing my first two offers for free I immediately upgraded to platinum membership for £115 for the year. Not even a week later I had made a profit even accounting for the premium membership. 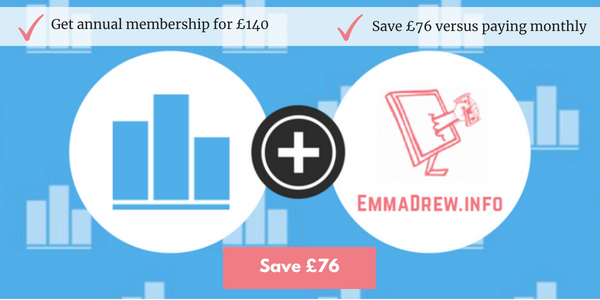 Platinum membership is now £17.99 per month. I would strongly suggest that you open a new bank account for matched betting. There are a number of reasons for this – firstly it will help you to fully keep an eye on your profit. I used my normal current account until I got a new bank card in my married name for a separate account and I got in a complete muddle! Another reason is that if you are looking to apply for a mortgage in the near future then it is thought (I haven't confirmed this) that some lenders will look at regular deposits into betting sites as a problem. I would suggest the Halifax cash card account for this. Don't waste too much time tracking every bet you place – you will need to have an idea of how well you are doing, but I was finding that I was getting so obsessed with tracking everything that I wasn't spending time placing my bets. 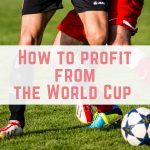 Profit Accumulator have some spreadsheets you can download to keep track of your overall profits. Your bank may place a fraud block on your card soon after depositing into bookmakers. This is nothing to be worried about – you will just need to contact them, answer some security questions and confirm the transactions. Let me know if you have any questions or comments. I can strongly recommend Profit Accumulator for their down to earth, helpful advice and odds matching software. Good luck! Let me know how you get on. If you have any questions then feel free to email me! That’s fantastic – great earnings for only starting out with £100! Are you enjoying it? I have been looking at this as well, glad I stumbled on your site. My plan will be to reinvest that entire bank each time to build it up so £200 per week along with the profits will be rolled over every week and I will spend as long as it takes to use up the bank to reinvest. Hi Emma. I started with PA last month and have made around £500. But now I am having a few problems opening new accounts. HAve you had this problem too? 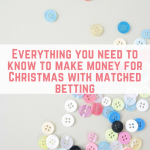 I enjoy your blog Emma and thanks for the matched betting advice – I needed something to supplement my income (I also do a lot of mystery shopping) and MB is perfect for me. Love Your blog! It has been an absolute god send to me! 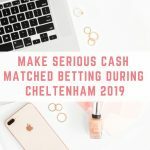 I’ve spent a good hour on your blog today and I’m intending to start matched betting this week. If you could accept my request to join your Facebook group that would be amazing. Hi Luke, I’ve accepted your request. Don’t most of the betting sites not allow you to withdraw the “free” money though?? This is what confuses me. Hi Rebecca, what you do is you place a bet with your free money, but then you use an exchange to say whatever you bet on WON’T happen. It is basically picking both sides of a coin, and then you profit from the free money. Hope that helps. Hi Emma – do you know if mATCH betting is available in Australia? Is this all done online or do you have to be able to get into the local bookies? Hi Emma, I’ve been very silly recently and managed to lose £800 of my own money. With matched betting, how long do you think it would take for me to build this amount back up? Hi Chris. I don’t want to make any assumptions, but if you’ve lost £800 of your own money, is this through traditional gambling? If you think for one minute that you might have a gambling problem (sorry, I really don’t want to make assumptions!!!) then matched betting might not be for you. There are plenty of ways to boost your income – if you can handle matched betting then £800 within your first month is definitely achievable, or you can find something else that does work for you – surveys, eBaying, mystery shopping, etc. Good luck! Thanks for posting this – I’ve been thinking about doing this but it seemed confusing. You’ve explained it very well 🙂 can I ask do you have to place 2 bets contradicting each other each time? Hello! You aren’t placing contradicting bets (for example, if Liverpool were playing Everton and you bet on Liverpool, you would still choose Liverpool at the exchange – laying it means you are saying anything BUT Liverpool winning will happen (they draw, the lose to Everton). Your bet (where you say Liverpool will win) happens at a bookie and your lay (Liverpool will do anything BUT win) happens at the exchange. Hope that helps! 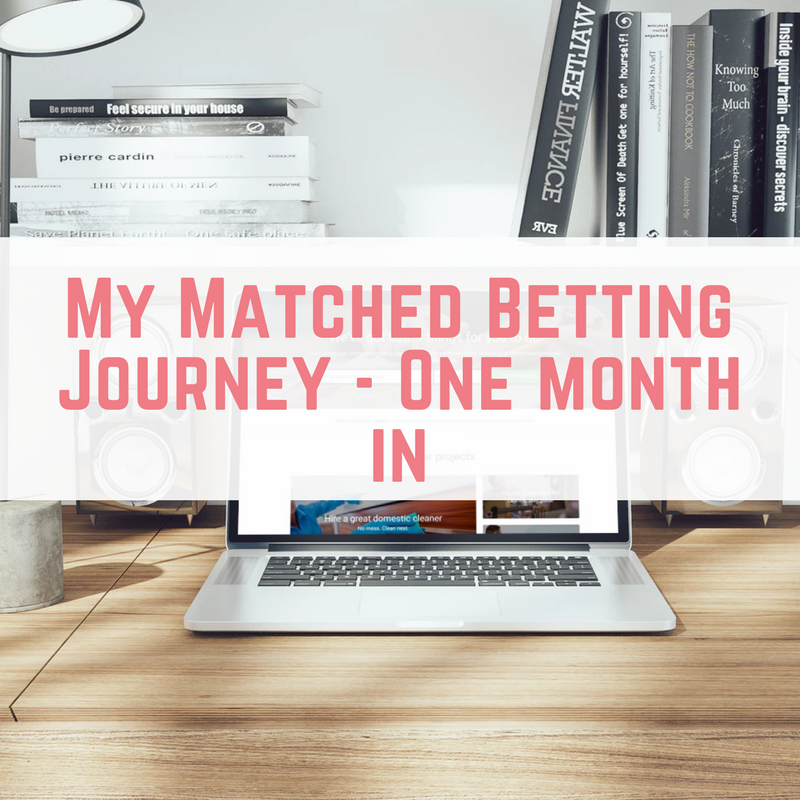 I’ve been researching matched betting for a few weeks now. Starting something like this is a big deal for me. I work nearly full time with two children and could really do with the extra cash but don’t have a lot at all to start off with (£60 max). I’m trying to find something that’s going to tell me that it’s not all it’s cracked up to be but at the moment, I can’t. I’ve joined Profit Accumulator for their free trial but haven’t placed the offers yet. Not sure what’s stopping me but I guess the main thing is getting too far into it that I can’t get out if things don’t work out. I’m loving your blog posts and money saving tips. Rachael. well done for signing up to PA. Give the two trial offers a try and see what you think – it is never too late to withdraw all your money and be done – I know a few people who have just worked through the sign up offers, made £2k and left matched betting. Let me know if you have any questions. Thanks for sharing this and your advice earlier. This has helped enormously and I’ll certainly be giving out a go! The average return for matched betting is 4%, to get 1k/month means you have a turnover of 25k, unless you have a lot of money don’t expect to get rich from this. Hi, are you still doing match betting and earning still if so how much, I have been looking into this before I take the plunge have your account s been closed down by any bookies since you joined if so by who? and do you mug bet? Love this post, I read it a few weeks ago and it gave me the confidence to start myself. I’ve earned about £700 to date but I wondered how you found moving to reloads? I’ve found it really tricky as although there are list of them they all seem to result in tiny profit of around £2 or be refunds which you are not guaranteed to get. Whoohoo, that’s awesome, well done on your earnings so far! I would suggest you take a look at the reloads on weekends as they’re generally better. Horse racing refunds are where I make the most of my money. I’ll try the horse racing refunds. I’ve also been told that accas are worth a look. I want to start matched betting but the problem seems to be that not many sites have India as the country option on their registration list. Will i be able to make enough profits just from 3-4 sites,half hour a day ? Going to take the plunge and finally properly give this a go! Been reading about it on your blog for a while. Stay tuned….! I’d like to read your original One Month In post but it seems to have been replaced by your overall Match Betting review. I’m really intrigued to know how you got on during those early days – could you repost the original article? This is the original I’m afraid. Hope it helps! I am sorry if this has been asked before. 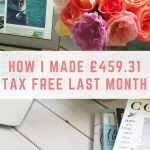 How much money did you start with in order to make £1,430 in one month? Hi Emma, I was wondering if you could help me with the general amount to get started with? We currently have very little spare money, working part time after having a baby. So i’m really really cautious about risking what little we have, however the pull of being able earn possibly more than my monthly part time wage is too much to resist. What is the littlest amount that I could start with that would still generate an income of say £100-£200? It really does depend on the offers. Starting with about £50 would help you but every time you win you need to leave some there, in the bank, for the next bet. Have you joined my free money making group on Facebook? We are talking about matched betting in a weeks time. Hi Emma, as someone who’s been doing matched betting for a couple of years I’m a bug fan of your ‘Matched betting support by Emma Drew’ Facebook page – however, I just went to have a look at it this morning and it seems to have disappeared! Has it been deleted?